How Rocket Learned to read is now an app for iPad! One of my favorite picture books of 2011, How Rocket learned to read, has now been turned into a delightful interactive app for iPads. Here is the write up about it from Random House. It is available for $4.99, a special introductory price. The New York Times Bestselling picture book that is teaching kids to read is now available as a playful interactive iPad app. Featuring the original story and artwork by Tad Hills, with delightful animations, lots of interactivity, and two bonus early-literacy games to play, children will be captivated by each enchanting page. Plus, the ability to tap each word to hear it spoken, and other educational elements will help your kids learn and love to read. Please double click on the image to see the full screen. When I was a child, I loved books. I was lucky enough to have a father who loved to read to me out loud, and he had the perfect voice for it too. I can remember feeling very frustrated when he went on trips, because he wasn't around to read to me, and I was too young to read to myself. I would have loved the wordless picture book that I have reviewed for you today. Young children can tell the story in their own words as they turn the pages and look at the pictures. One day Beaver gets onto a log that is traveling down the river. Instead of getting off and going back to his family, Beaver stays put. Beaver even stays where he is when the log he is riding on is picked up by a big machine and is transported to the city on a truck. In the city, the truck takes the logs to a lumberyard and this is where Beaver finally makes a run for it. A dog sees him, and Beaver just manages to escape by slipping through a hole in a fence. He enters a yard on the other side of the fence, swims across a swimming pool, and he walks through a house. Across the street from the house, there is a zoo, and here Beaver sees another beaver in a glass tank. He is pursued by a zookeeper and a little girl, and has to take refuge in a little lake. People in swan boats float up and down, and it is a nice place, but Beaver is determined to get home. In this almost wordless picture book (there are six words in the book) Elisha Cooper takes his readers on an amazing adventure with a beaver who is inadvertently carried far away from his lodge home. Little children will enjoy seeing how the beaver uses pools, ponds, streams, and other bodies of water to get back to where he belongs. Every so often I read and review a picture book that I think has universal appeal, a book children and adults alike should read. Today's book is just such a title. I can honestly say that this book made me stop and think. I read it several times, and marveled that the author was able to say so much using so few words. There once was a boy called Brigg, who lived in a small grey room in a big grey city. Every day he walked to the library, which is where he worked. “Dangerous books” were stored in the library, and one day Brigg found some books that were labeled “Do not read.” Brigg was curious, so he took one of the books home with him, and when he opened it he saw that it was full of pictures of beautiful colorful things called flowers. Brigg had never seen a real flower, and he searched the city, trying to find one. All he was able to find was a picture of a flower in an old junk shop. Briggs bought the picture, and when he went home, he discovered that his picture contained seeds. He followed the directions written on the back of the picture, and something wonderful happened. In this evocative picture book, John Light takes us to a world where there are no flowers or green things. Everything is grey and grim and ugly. Brigg’s discovery that flowers once existed, and his subsequent adventure is full of hope. Readers will have a wonderful time imagining what happens next in the story. The marriage of the text and the art in this book is perfect, and readers of all ages will moved by the powerful images that they see, and the thought-provoking ideas that the book explores. Many children love reading about farms and farm animals, and Doreen Cronin and Betsy Lewin have created a delightful collection of picture books about a group of farm animals that are led by a very intelligent and sneaky duck. Duck is always finding ways to get the better of humans, and in today's picture book, he once again has the last laugh. I have reviewed several of the other books in this collection including Click Clack Moo, Dooby Dooby Moo, Duck for President, and Thump, Quack Moo. Most of these titles are available as picture books and board books. When Bob goes into the house, he finds a note that tells him that “Tuesday night is pizza night.” Being the kind of fellow who believes what he reads, Bob has twenty-nine pizzas delivered, and the farm animals have a feast. The next day Bob finds a note saying that Wednesday is “bath day for the pigs.” Thinking that the note is from his brother, Bob gives the pigs a wonderful bath. On Thursday, there is another note telling Bob that Thursday night is movie night and that “it’s the cows turn to pick.” Bob should be keeping a sharp eye on Duck, as his brother recommended, because he is being taken for a ride. Readers who like to have a good laugh, will find that this book is just what they need. Readers will love the way the farm animals manipulate the humans in their lives. Using their wits, they find ways to get what they want, on their terms. You can help cheering Duck and his friends on. Readers who enjoy this book should take a look at the other books in this collection. For today's Poetry Friday title I have a book of poetry that I found extremely entertaining. Imagine what it would be like if Mother Goose was a character living in the present day. What would her poems be about? If she is the kind of person who likes to shake people up a little, she might write poems very much like the ones in this book. For generations, parents have been reading Mother Goose rhymes to their children. Again and again the spider has scared Little Miss Muffet, the baby has fallen from the tree “cradle and all,” and this little piggy has gone squealing “all the way home.” These rhymes are truly timeless, and will be enjoyed by young children and their families for years to come, but now Barbara Wyn Klunder has created some new versions of these rhymes that address some of the issues that exist in our world today. Her rhymes are not for the very young, instead they are suit older children and even adults, and they are both funny, and thought provoking. Without a doubt, this collection of poems will make readers laugh. They will also make readers think, because they look at problems that are of real concern to people. The poems look at environmental issues, social issues, and much more, and they dare to be controversial and, in some ways, subversive. Being an only child, I never had to share a room with siblings, but I still sometimes had a hard time finding a place where I could have some peace and quiet. People imagine that children want to be busy all the time, but often they enjoy having a little down time in their own company. In this amusing picture book, we meet a girl who has to go to extremes to have a little quiet time on her own. Clarice Bean would like to have “peace and quiet,” but this is very hard to find in her house because it is full of people. Clarice has to share her room with her little brother Minal Cricket, and you can just imagine what that must be like. Then there is Clarice’s sister Marcie. She has a room of her own, which means that she can have “peace and quiet whenever she wants.” Clarice’s brother Kurt also has a room of his own. According to Mom, Kurt is “in the dark tunnel of adolescence,” which means that he hardly ever speaks, and he stays in his room a lot with the door shut. Dad is really lucky because he can be alone when he goes to work. If he doesn’t want to be disturbed, Dad tells Ms Egglington to tell everyone that he is in a meeting. Clarice is sure that Dad is actually eating rocky road ice cream and listening to Frank Sinatra on the stereo. Even Mom is able to get a little peace and quiet when she needs it. She goes into her bedroom and “balances on one leg,” or she has a bath. Clarice tries to get some peace and quiet in the yard, but the boy who lives next door is always calling over the wall in a very loud voice. He is so very annoying. Finally Clarice snaps, all hell breaks loose, and Clarice finds out that there is one thing she can do that will guarantee that she gets that precious peace and quiet she is looking for. Anyone who shares a house with lots of people and who wishes for a little space and quiet will immediately sympathize with Clarice Bean and her problems. With wonderful multimedia collage art on every double page spread, and a deliciously quirky text, this is a picture book that children will come back to again and again. When I was a little girl, the counting books I used were, to be honest, horribly boring. They were bland, totally uninteresting, and I learned to count as quickly as I could so that I wouldn't have to use them any more. Thankfully, authors and illustrators have since come up with wonderfully creative ways to help children practice their counting. In today's picture book, Marion Dane Bauer gives children a story to enjoy, and she helps them practice their counting skills as well. One sunny day, a little brown bunny goes outside to find a friend to play with. He invites two red birds to fly down from their tree to “Come play with me,” but the birds fly away. Next, the little bunny came across three bears who “crunched their lunch.” Bunny asks if he can join them, but the bears growl at him and walk off. Later still, the bunny sees five little mice playing hide-and-seek. The bunny so much wants to join their game, but the mice are not interested in playing with the bunny. Will no one play with a lonely little bunny? Little children will immediately sympathize with the little rabbit in this story. They know what it feels like when no one will play with you. Thankfully, this little story has a happy ending. 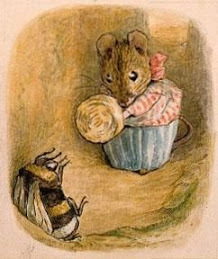 The story has an engaging rhyming text and cunning illustrations, and it also helps children to practice their counting. I have a treat for you today. The folks at Random House will give one of my lucky readers a SIGNED copy of When you reach me by Rebbeca Stead. This book won the 2008 Newbery Medal and the Horn Book Award. It is also a New York Times Notable Book, and a New York Times bestseller. Please email me to be entered in the drawing for this giveaway. Good Luck! Every so often a person needs to read something that is outrageously and ridiculously funny. The book I reviewed for today is just such a book. If you have not encountered Steven Kellogg's illustrations before, then you are in for a treat. Meggie and her rest of her team are supposed to be having basketball practice, but there is a problem; Miss Peachtree has taken over the gym for her dance school, and she plans on teaching the children how to tango. Her plans don’t work out as planned though because Jimmy has brought his pet boa, and the boa is not a very good tangled…er tango partner. To put things simply, all the children end up on the floor tangled up in the boa’s coils. Miss Peachtree is not best pleased. In fact, she is so annoyed that she says something that really upsets Jimmy’s boa, and the large snake takes refuge in the basketball basket. Jimmy tries to get his boa to come down by throwing a basketball at the basket, and then a number of very extraordinary things happen. Could it be that Meggie and her team are going to be able to have their practice after all, and could it be that Jimmy’s boa might be an asset to the team? Young readers are sure to love this deliciously ridiculous tale, which gets more and more outrageous as the story unfolds. Who knew that a dance lesson could go so horribly wrong, and yet turn out to be so wonderfully right at the same time? Throughout the book Steven Kelloggs’ delightful illustrations perfectly compliment Trina Hakes Nobel’s entertaining story. 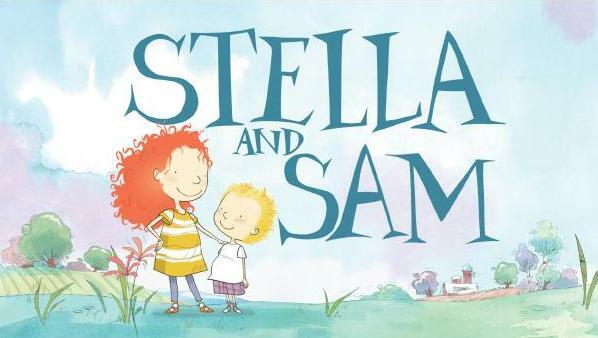 Astral’s Playhouse Disney premiered the new animated series Stella and Sam on Sunday, January 9 at 10:30 a.m. ET. The new series, based on the internationally best-selling Groundwood books by Canadian author and illustrator Marie-Louise Gay, follows the backyard adventures of four-year-old Sam and his older sister Stella.Gay has written and illustrated eight books in the Stella and Sam series to date. They have been translated into fifteen languages and sold more than one million copies worldwide. Children can now venture further into the world of Stella and Sam with interactive adventures designed for children and their families to explore online at www.playhousedisney.ca. Families can learn more about show's characters, play Stella and Sam games and download printable activities. New episodes of the show will premiere on Sunday mornings at 10:30 a.m. ET with episodes also airing on Saturday mornings at 10:30 a.m. ET as well as Saturday and Sunday evenings at 8 p.m. ET. 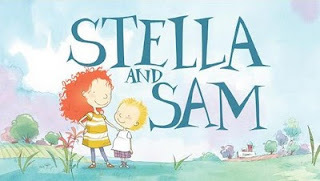 Groundwood will be publishing new paperback editions of Good Morning, Sam and Good Night, Sam in February 2011, followed by When Stella Was Very, Very Small and What Are You Doing, Sam? in the same format this August. All books can be purchased from booksellers nationwide or the Groundwood Books website. Every so often I encounter a situation that makes me wish I was someone or something else. As I try to cajole my body to open up for my yoga practice, I wish I was one of those yoga teachers who look as if every limb and joint is made of rubber. As I try to do everything that needs to be done, I wish I was the cat who can sleep the day away in the sun. Today's picture book is about some children who wish "just for one day" that they could be something else. Most of us have those moments when we wish we were someone or something else. As we try to look over tall grass in a field we wish we were a giraffe, as we puff and pant our way along during a race we wish we were a cheetah. In this book, we meet some children who dream, “just for one day,” that they could be something else. Young children will have no problem connecting with the children in this book. They know exactly what it is like to wish one was a bear, or a whale, a chimpanzee, or a snake. They will be especially delighted when they come to the surprise ending. Several years ago I started reading and reviewing the Artemis Fowl books by Eoin Colfer, and in no time I was hooked. Just like so many other readers from around the world, I eagerly waited for the next title in the series to come out. I am delighted to tell you that Hyperion is now publishing graphic novel versions of the books. Here is the first Artemis Fowl story in graphic novel form. There can be no doubt that Artemis Fowl, though only twelve years old, is a force to be reckoned with. Brilliant, ruthless, and the heir to a criminal empire, Artemis has decided that the family coffers are in need of a healthy influx of gold. Does Artemis try to rob a bank or break into Fort Knox? Indeed he does not, for Artemis is above such mundane crimes. Instead Artemis is going to separate the People from their gold. That’s right, Artemis is going to steal from the fairy folk. Artemis has been doing a lot of research about these magical creatures, and when he manages to acquire the Book, the fairy bible if you will, he is fully equipped to deal with anything that the fairies throw at him. With the help of his bodyguard and aide, Butler, Artemis kidnaps Captain Holly Short, a fairy who is an officer in Recon, an elite fairy police force. If the fairies want Captain Short back, they are going to have to relinquish a sizeable amount of their gold reserves. Of course, the Book does not prepare Artemis for the determination of the Recon commander, Commander Root, nor does it warn him about Mulch Diggums, a kleptomaniac dwarf who can dig himself in and out of almost anywhere. With Mulch’s help, Commander Root sets about trying to free Captain Holly. Who is going to prevail in this battle of wills and wits? Will Artemis’ actions bring humans and the People to the point of war? This fascinating and gripping graphic novel, will give older readers a very unique look at the fairy world. The fairies in this graphic novel are not ethereal delicate-winged creatures who sip from spring flowers. These are tough, well-armed characters who are centuries ahead of humans when it comes to technology, and who have no patience for us humans. Readers will be interested to see how the characters change as the adventure unfolds. They will find that Artemis Fowl has a soft side to his character, and there is even some hope that he might not be as evil as he believes himself to be. When I was a child, I was very much like the little boy in today's picture book. Just like silly Billy I was a chronic worrier, and I spent many hours lying in bed worrying about all kinds of things. Children who are like Billy and I, will find this book very comforting indeed. Billy is a little boy who is a chronic worrier. As he lies in bed he worries about hats, shoes, clouds, rain, and giant birds. He imagines that a huge bird might carry him out of his bedroom window, or that a rainstorm could flood his bedroom. His fertile imagination imagines all kinds of calamities. Not even the reassuring words of his loving parents helps. One night Billy spends the night at his grandma’s house, and he lies in bed worrying. He cannot help worrying “about staying at other people’s houses,” even though he knows that his worries are “silly.” Unable to sleep at all, Billy goes to tell his grandma about his problem, and he finds out that she has a solution for his predicament. The most amazing thing of it all is that her solution works, at least for a while. In this special picture book, we meet a little boy who really needs some help. Thankfully, someone who loves him knows just what to do. Children will be thrilled to hear that something can be done to alleviate those last-thing-at-night worries, and they will be interested to learn that Grandma’s solution is one that people all over the world really use. One night, Dexter Bexley and the Big Blue Beastie are standing on a roof hooting a horn and a bagpipe. Even when the neighbors tell them to be “Quiet up there!” the two friends cannot help hooting as hard as they can. So, they get thrown out of town and they find themselves in a “deep dark forest” where they can hoot their horn and bagpipes to their heart’s content. In the forest, Dexter and the Big Blue Beastie meet a young man called Sir Percy Pecket who needs their help. His “beloved” is asleep in a tower near by, and he wants the two friends to wake her up, which they do very well, to the delight of everybody. Sir Percy now wants to marry his princess (yes she is a princess), but he hasn’t slain the “frightful dragon” yet. Apparently, this is a requirement before you can marry a princess. In this delightful companion to Dexter Bexley and the Big Blue Beastie, Joel Stewart takes the little boy and his monsterish friend on another wonderfully peculiar adventure. Children are sure to enjoy the surprising ending. Throughout the book, colorful cartoon style art with speech bubbles fill the pages. If you love cities to live in or to visit, then I have the perfect book for you. In this very special collection of poems, Lee Bennett Hopkins explores several cities around the world using a variety of poetry forms to do so. Every Friday, I got to my daughter's school and I read books to some children who need a little help with their reading. Just before Christmas, my two little girls chose exactly the same book to read. Both of them shrieked with laughter as I read to them, and then both of them wanted to take the book home with them. This is the book that was so popular on that reading day. Unfortunately, his hiccups are not only a trial for him, but they are also a real nuisance for all the other animals. When he tries to say hello to the yellow elephant, the hippo’s hiccup startles her so much that she drops the cakes she is holding. Needless to say, she gets very angry, and she starts to chase the hippo. With the elephant in hot pursuit, the hippo comes across a centipede “pouring new cementipede.” One hic “by accidentipede,” and the elephant and the centipede end up face first in the cement. With its hilarious illustrations and its deliciously ridiculous rhyming text, this picture book will have young readers in floods of giggles. Be warned, this book is addictive and it may become necessary to hide it for a while. Tell us your most memorable Judy Blume moment and you could win an iPod Touch and a personal message from Judy herself! Can you remember the day you finished Are You There God? It’s Me, Margaret and felt like finally this was a book about girls just like you? Or reading Superfudge and identifying a little too easily with the plight of having an annoying little brother like Fudge? Judy Blume’s books have touched generations of kids and teens as they’ve grown up to share these stories with their own children, and now Listening Library is asking parents and kids alike to share their favorite Judy Blume memories in the Judy Blume Journal! To celebrate the release of five Blume classic audiobooks (Are You There God? It’s Me, Margaret, Freckle Juice & The One in the Middle Is the Green Kangaroo, Starring Sally J. Freedman as Herself, Deenie and Iggie’s House) for the first time on CD, we’re giving away a grand prize of an 8GB iPod Touch, a $200 audiobook collection and a personal message from Judy Blume to the writer of the best journal entry, as selected by Judy herself. Visit www.judyblumecontest.com to submit your entry, read others’ memories and vote on your favorites for a chance to win. The five finalists will be selected based on the number of votes for their entries, so share with friends and encourage them to vote for your journal entry! Contest is open to all legal residents of U.S. and Canada (excluding Québec) who are age 13 years or older as of January 3, 2011. All entries must be received by 11:59 EST on February 18, 2011, and must be be in the entrants' own, original words. No quoting of other material is allowed unless attributed. In the final round, Judy Blume will select the three Finalists, a Runner-Up, and Grand Prize Winner from among the five finalists based on the entries’ creativity, originality, emotional appeal, and poignancy. After publishing its first audiobook in 1955, Jules Verne's Around the World in 80 Days, Listening Library grew into one of the biggest names in the youth audio industry, releasing over 100 titles a year. Listening Library titles have earned more than 200 ALSC and YALSA Audiobook Awards, 55 Audie® Awards and two Grammy® Awards with bestselling series like J.K. Rowling's Harry Potter, Stephenie Meyer's Twilight Saga, Rick Riordan's Percy Jackson and the Olympians and Christopher Paolini's Inheritance Cycle. Our backlist also includes dozens of Newbery and Printz award-winning authors whose titles we are proud to publish on audio. When I was a child I always wanted a pet of my own. We had family pets, whom I loved, but they were not mine. I so much wanted a cat or a dog of my very own, a pet that would sleep in my room and that would be my special friend. Today's picture book is about a little girl who wants a pet so much that she ends up creating pets out of very ordinary everyday objects. One day a little girl and her mother are walking past a pet shop and the little girl asks her mother, “Mom can I have a pet? Please?” The little girl’s mother gives an answer that is not very satisfactory. Everyone knows that “We’ll see,” basically means NO. The little girl takes her mother’s words literally, and she looks around and sees. She sees a nice smooth rock, which she picks up. Then the little girl ties a string around the rock, and she names it Fluffy. For a few days, Fluffy is a good pet, until his string breaks and he rolls down a hill. One would be hard pressed to find a child who has not badgered a parent or caregiver for a pet. This charming picture book shows readers how one little girl solves her pet-less problem for a while. She uses her imagination so that a rock, a glove, a candy wrapper, and a balloon serve as great pets for a time. What a delightful tribute to the power of the imagination this book is, and what a great reward the little girl gets for her perseverance. Many years ago, when my husband and I lived on a farm in Virginia, we got a pot-bellied piglet. Gracie was an incredibly sweet little animal. She was very affectionate, funny, and intelligent. She was also incredibly stubborn. If Gracie did not want to do something, there was very little that you could do to force her to do so. She would scream - which was deafening - and she would kick her little hooves. Having had this first-hand pig experience, I was eager to read the book I have reviewed today, and I am so glad that I did. Most of us love parades. We love the music, the floats, the bands, and the giant balloons that float above the street. What’s not to love? Now, imagine a different sort of parade, imagine what it might be like to attend a parade whose participants are all pigs. Can you see those porcine wonders marching down the street tootling their horns and oompa pa-ing their sousaphones? Can you see them in their red and white majorette uniforms with bright brass buttons on their coats and white plumes on their hats? If you think pigs will fancy those majorette uniforms you had better think again. Pigs hate uniforms, and trying to get them to wear them will be neigh on impossible, and this is just the beginning; there is a veritable litany of reasons why a pig parade is a terrible idea. Readers will be hard pressed not to laugh out loud when they read this book and look at the artwork. Michael Ian Black’s deliciously funny words are perfectly paired with Kevin Hawkes’ illustrations to give readers a picture book experience that is truly one of a kind. The Cybils finalists are announced.